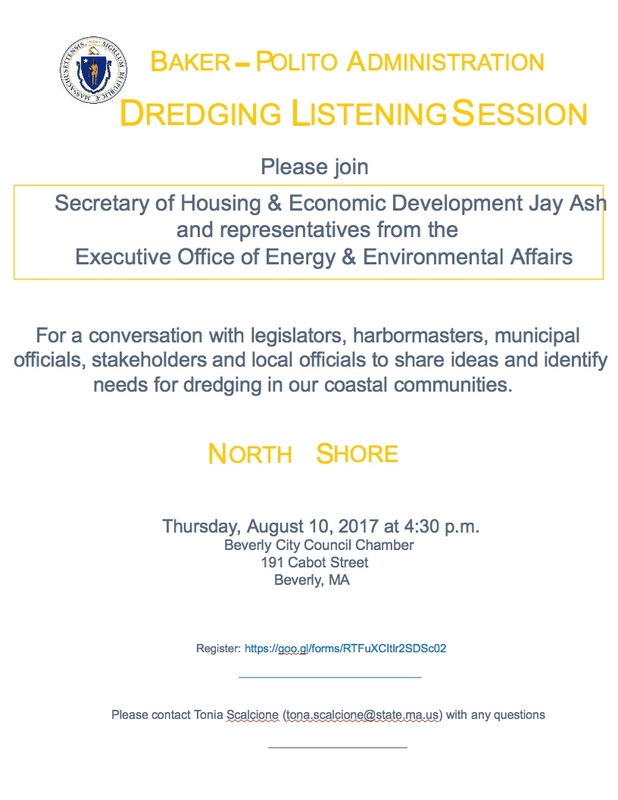 Please join me, Secretary of Housing & Economic Development Jay Ash, the Director of Coastal Zone Management, Bruce Carlisle. 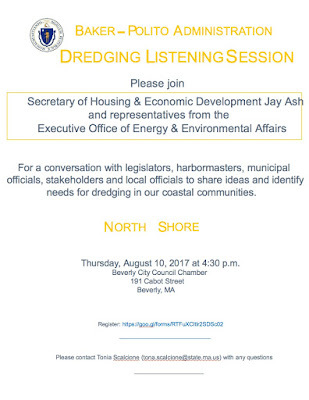 and experts in dredging for an important discussion of priorities and challenges facing harbormasters, municipal officials, maritime professionals, recreational boaters and private citizens. Secretary Ash will moderate the listening session. I invite you to attend and share your questions and comments.The Administration wants to get feedback from the audience regarding dredging priorities and any hurdles these projects may face in a permit process. The Beverly session follows a similar meeting that took place in Plymouth recently. More than a hundred people attended from Winthrop to Wellfleet to discuss dredging concerns and needs. I hope that you will be able to attend the Beverly session, contact my office should you have any questions.